If you want to get into online gambling, we think that's great! It's a safe, fun, and legal activity for adults in New Zealand, and we have plenty of ideas on how you can get started. But before you do, we want to give you a few tips that will help improve your Internet gambling experience. Read these tips before you sign up for an online casino, and you'll avoid the pitfalls and mistakes that many novice gamblers run into early in their gambling careers. This is probably a no-brainer, but you'd be surprised at how many people camp out at the roulette table, hoping for their big break. You should go for the games that offer the lowest house edge, the best winning odds, and the highest payout odds. Each game has its own rules, strategies, and – most importantly – odds. Some games give the player a fighting chance to come out ahead even after a long session, while others take a huge amount of luck to win at even over the short run. If you want every dollar to last as long as possible, then stick to games like blackjack and online baccarat that have the lowest house edges. 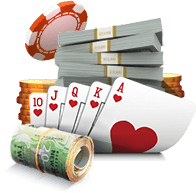 When you look at any online casino site, you'll be presented with a bonus offer that looks pretty incredible. You shouldn't necessarily take the biggest bonus, as not every bonus will allow you to play every game. It's possible that you'll be served better by a smaller bonus that's tailored to your type of play, such as the special blackjack bonuses many Internet casinos now offer. You'll also need to do some math with the bonus, playthrough requirements, and the house edge of the game(s) you're playing to figure out whether or not you'd end up keeping the bonus after you meet your playthrough requirements. In other words, make sure you don't let the casino automatically take most of the bonus (or, even worse, all of it) in the end because of the house edge. One of the biggest mistakes you could ever make at a casino is to play a game you don't fully understand. That's why it's a good idea to practise with a free play game before plunking down any real money on a bet. There are free play games available all over the Internet. Don't stop practising until you're fully confident that you understand the game enough to be able to employ a good strategy. Know the game. Understand the odds. Use a strategy you completely understand and you know will work well. Everyone wants to win big at the casino, which makes it very tempting to bet as much as possible in the hopes of striking it rich. 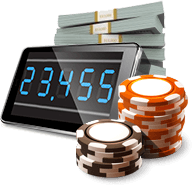 But betting too much on each spin is a sure way to quickly run though your whole bankroll, ending your gambling fun in just minutes. It's also tempting to try out a new and unfamiliar game at a casino (especially if you're bored with all of your usual games), but you need to resist that temptation until you fully research the game's rules and strategies. It's never a good idea to learn as you go when real money is involved. Progressive jackpots have the potential to be some of the best values in the entire casino. While a pokie might not be the best bet most of the time, a progressive jackpot pokie can offer added value that improves that game's odds – sometimes even enough to make the machine profitable to play in the long run! If a progressive jackpot is significantly larger than it normally is, the value of that prize makes it well worth your while to play that machine. One great way to ensure that you manage your money well is by setting loss limits. This means that before you play, you set an amount that you can lose, after which you are done for the day. Granted, this doesn't actually increase your chances of winning, but being disciplined enough to know when to quit will help you stop gambling before losing even more money. When chasing losses, you're likely to play at higher stakes or more impulsively than normal, which often means you'll start losing even faster. Set loss limits to prevent this vicious cycle from even beginning. Everyone knows that alcohol and sleep-deprivation affect your judgement, but not everyone knows that when you're drunk or tired, the first part of your brain that turns off is the part that says, "I'm not performing so well." This means it could take you much longer to realise when it's time to quit. Land based casinos know this. That's why they try to fill you up with free drinks. Online casinos are onto this, as well. They try to keep you online as long as possible. 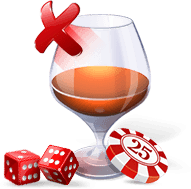 When you're gambling, you need to be super self-aware and quit when you start feeling tired or drunk. No exceptions. One page on an online casino's website that's often overlooked is the promotions page. You should be checking this page (and any emails or notices you get from the casino) regularly, as many reputable casinos offer weekly promotions to keep player bankrolls boosted. Such weekly promotions may include bonus chips, free bonuses, prizes, sweepstakes, or double points. Remember, casino gambling is supposed to be fun. Yes, we all want to win every time we place a bet, but there are going to be plenty of times when we lose – and we should at least be playing games that we enjoy so that we get entertainment regardless of our results. Pick games you like to play, and you'll have a good time no matter what happens. Even if that means you aren't playing the games with the very best odds, so be it. Take a look at the casino's banking options. Some of the most common ones include credit cards and Skrill. The more banking options they offer, the better. Look for the casino's most recent audit results and security certificate. A reputable one would always showcase that information on their homepage. If you have trouble finding it, run for the hills. Check the type of SSL Encryption the casino has on their website. You can do this by clicking on the security button provided on their website. The best one they could use is 256 Bit SSL Encryption. It's also worth checking which third party security company they're using. You can never be too careful with your money at a casino. 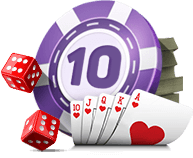 By implementing these ten rules you'll have a better chance of winning those huge jackpots at your favourite online casino. Good luck!